Flowers or jewelry, why not both? Do you say it with flowers or do you say it with gemstones? We can’t help but love African violets. They are rare and beautiful flowers, with striking petals of a purple-blue hue that demand you stop and look. Native to Tanzania, African violets can be difficult to care for, but are worth the effort for the pleasure of seeing that shade. 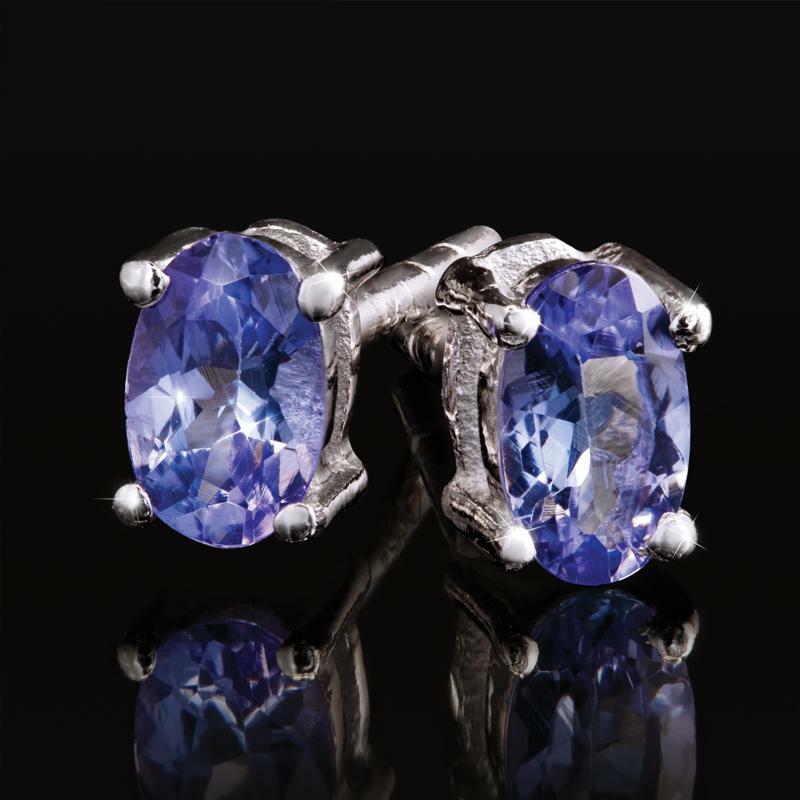 Meanwhile, the gemstone tanzanite possesses that same striking color, is also native to Tanzania, is just as rare, and never needs re-potting or watering. 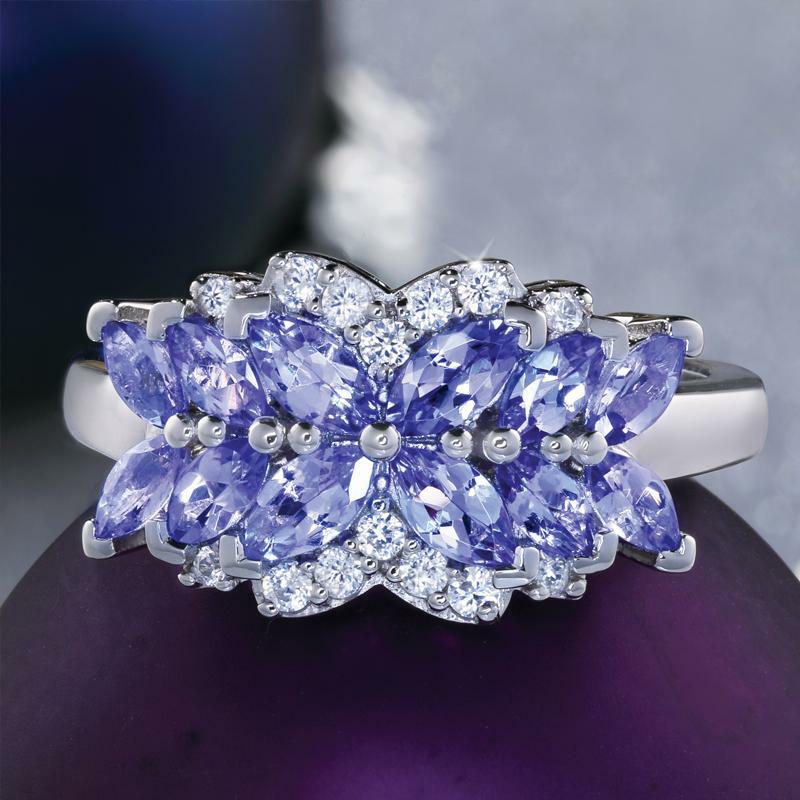 With the African Violet Tanzanite Ring, we’ve combined the two and recreated the look of the African violet flower using tanzanite. The effect is stunning. Twelve individual tanzanite stones arranged into the pattern of an African violet flower, nourished by the bright light of 14 white topaz gemstones, weighing a total 1 ½ carats. 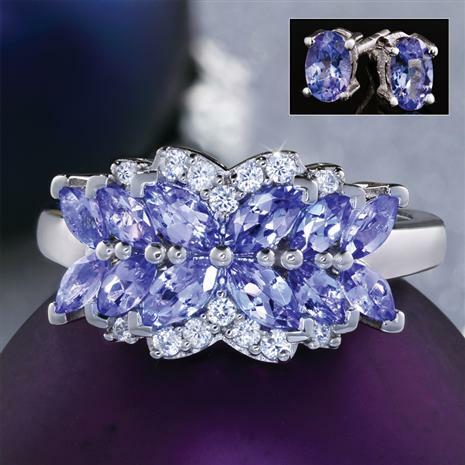 If you weren’t sure whether to send her flowers or gemstones, choose the African Violet Tanzanite Ring and send both.